So, last night, I accidentally left my notebook out on my nightstand, because I was doing homework late. When I woke up, it was open (which it wasn't before!). 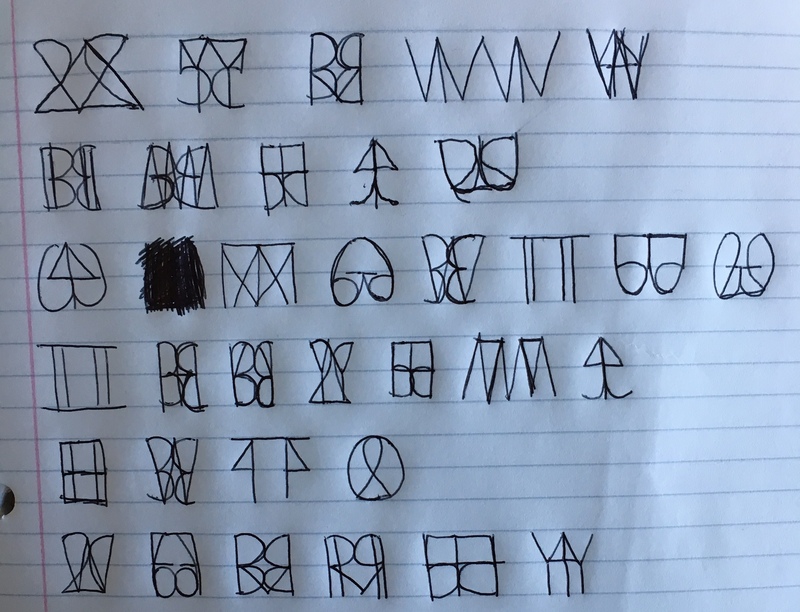 My hands were covered in ink, and there were some really weird symbols on the page the notebook was open to. I wrote them (my hands were inky), so there must be some meaning to my sleep-writing, perhaps something important? Can you find anything in the odd symbols? P.S. Even in my sleep, I'm not a good drawer, keep that in mind if you find any oddities. Hints coming maybe, there is at least one already hidden. These correspond to directions on a keyboard - trace a path from letter to letter in numerical order within each line. 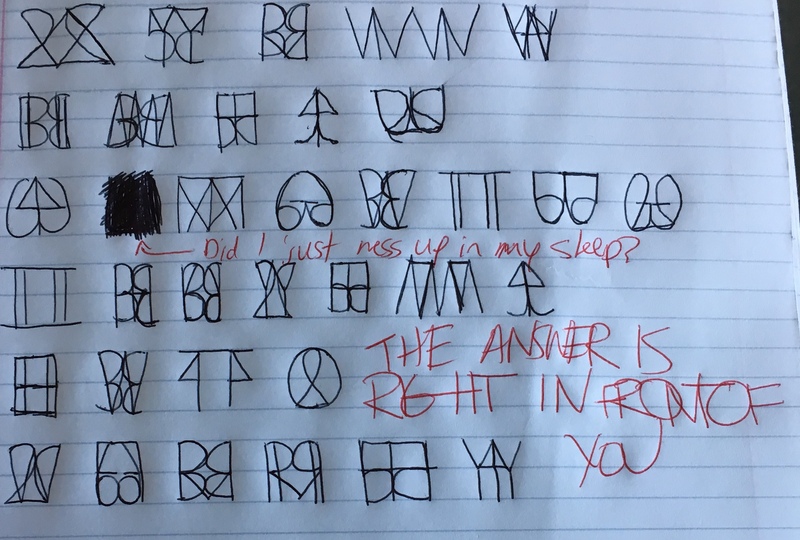 For example, the first line traces W X R V Y, creating the letter W.
This spells out the final answer WAKE UP. Sounds like it worked! letter and number overlayed and mirrored. So far I've tried shifting the letters but no clear answer from that yet. Still looking further. Shifting them forwards and backwards the number on the letter, so i'm thinking it's something else? 5H seems to be repeated a few times which might pare down a frequency or something.